The 16th International Conference on Chemistry and the Environment (ICCE 2017) took place in the period of 18–22 June 2017, in Oslo, the Capitol of Norway. The Blindern Campus of the University of Oslo was chosen as the appropriate venue for the conference. The University of Oslo is gratefully acknowledged for hosting ICCE 2017 in the beautiful setting and for generously making available a great conference environment for the attendees comprising lecture halls, foyer for posters and exhibition stands, and food and refreshment facilities. We also wish to thank all of the people involved in the efficient and smooth organization (University personnel, students and all members of the committees) and particularly the conference organizing team of “Congress-Conference” headed by Øyvind Lie. The ICCE is organized as a biennial conference by the Division of Chemistry and the Environment (DCE) of the European Chemical Society (EuChemS). ICCE 2017 was officially hosted by the Division of Analytical Chemistry of the Norwegian Chemical Society (NKS). The organizing committee consisted of the following members: Roland Kallenborn (NMBU, conference chairman), Yngvar Thomassen (STAMI, Finances, abstract handling), Georg Becher (UiO, abstract handling, public relations), Balasz Berlinger (STAMI, Internet, IT), Pawel Rostkowski (NILU, Vendors and exhibitions), Katrine Borgå (UiO, Student program), and Rolf Vogt (UiO, Venue liaison). Seven satellite events were organized on Sunday, 18 June 2017 and on Thursday, 22 June 2017 at the venue prior to and after the official conference program. Åke Bergman, Sweden, Director of the Research Centre for Chemicals, Health and Environment: Persistent Organic Pollutants (POPs): History, lessons learned and the way ahead. Lars-Otto Reiersen, Secretary General of the Arctic Monitoring and Assessment Programme (AMAP): Arctic pollution issues. Rupert Simon, European Chemical Agency: Reach(ing) sustainable development. The conference (without satellite events) was attended by 409 registered participants from 42 countries. ICCE 2017 provided a solid base for professional knowledge exchange, inspiration and networking through the high-level scientific program with both oral and poster presentations. During the opening session of ICCE 2017, the 50th anniversary of the discovery of polychlorinated biphenyls as environmental pollutants by Sören Jensen, at Stockholm University was celebrated. On this occasion, Professor emeritus Sören Jensen received the DCE Lifetime Achievement Award for his pioneering work in the identification and fate assessment of persistent organic pollutants. The awardee, who recently celebrated his 90th birthday, responded with personal impressions and notes on his highly productive career. The special issue published here contains eight representative papers that are based on the presentations at ICCE 2017. 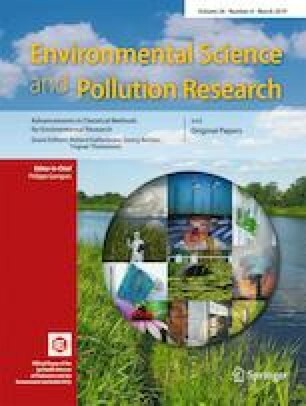 The following topics are covered: Rodenticides in suspended particulate matter and fish, Analysis of polar perfluoroalkyl carboxylates in water, Disinfection by-products in drinking water, Intake of copper and lead in sheep, Certified reference material for POPs in marine sediments, Chlorinated dioxins/furans and polybrominated diphenylethers in sediment, Sources of poly- and perfluorinated alkyl substances in the Arctic, and NIR spectroscopy for characterization of microplastics in soil. The 17th ICCE will take place in Thessaloniki, Greece, 16–20 June 2019 and will be organized by the Association of Greek Chemists in co-operation with the DCE. The local organizing committee will be chaired by Ioannis Katsoyiannis, Aristotle University of Thessaloniki. Roland Kallenborn, Georg Becher, and Yngvar Thomassen.